Hello my name is Phillip Irwin. 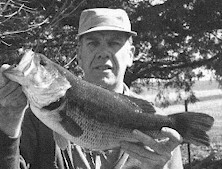 Welcome to my Bushwhacker Lake page. 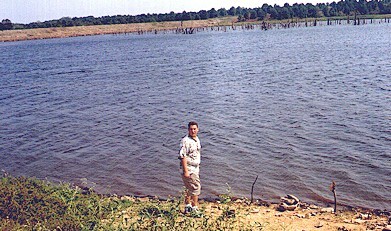 Bushwhacker Lake is a small man-made lake in Vernon county Missouri. It is managed by the Missouri Department of Conservation. I have several good reasons for being interested in Bushwhacker Lake. (1) My grandparents farm is near Bushwhacker and my great-grandfather and great-uncle followed the construction of the lake very closely. (2) My Grandmother once lived on the farm that became Bushwhacker Lake. (3) It is a great place to fish and enjoy wildlife. Bushwhacker Lake is near the town of Bronaugh in Vernon County. For more information visit my dad's Bronaugh Web Page. 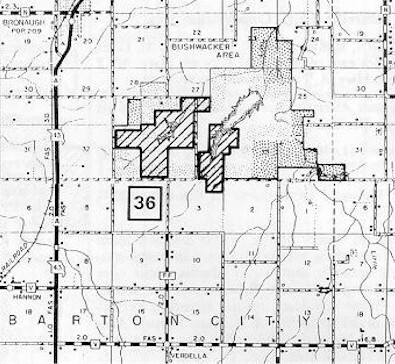 This small map shows the location of the lake in relation to the town of Bronaugh and Highway 43. Follow these links to learn more about Bushwhacker Lake. This Website is dedicated to my Great-Uncle Elmer Saathoff (1923-1994). He loved Bushwhacker Lake and took most all of the photos on this site.